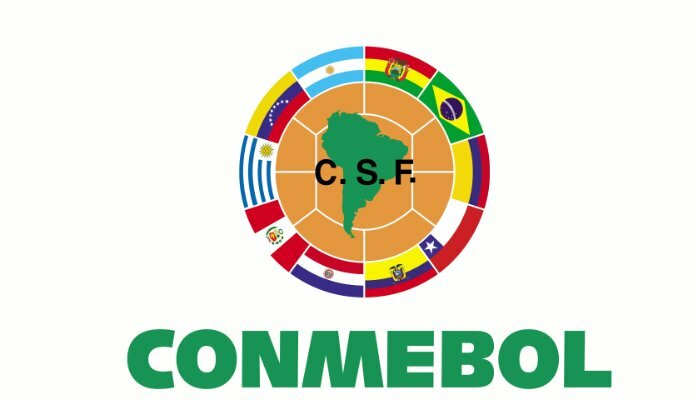 The Copa America is the international football tournament for teams that are in the South American region of FIFA, known as CONMEBOL. Founded in 1916 it is the oldest of the continental international competitions that take place around the world and is full of rich history, with some of the greatest players of all time stamping their authority on the competition. If you like betting on football, check out best online sports betting sites for 2019. If you prefer betting with cryptocurency, we have best crypto bookies list. Up until 1975, the tournament was known as the South American Football Championship, although the name Copa America is now associated with the tournament and known by fans from all over the world. With so many South American stars playing in Europe, interest in the competition is global, not just from South America and that is what makes this competition so unique. People from all over the world tune in to see some of the greatest talents of our generation battle it out to become champion of South America, and that appeal is not replicated by any of the other continental competitions. The next tournament will take place in 2019 and Brazil will host that event. After hosting a World Cup recently they certainly know how to throw a footballing party, so expect the 2019 Copa America to be a huge event that fans from all over the world take part in. Looking back to 2015, Chile were successful in their own country, beating Argentina in a penalty shootout to win the tournament, before winning an additional event in 2016 to mark 100 years of the Copa America. Many teams have been successful during the Copa America era at winning the tournament they have hosted, and we have seen some very memorable performances amongst those. Home advantage can count for quite a bit in South America, but this tournament still takes a lot of winning and the past winners who have done so on home soil, still deserve a huge amount of credit for their achievements. Here is a look back at some of the memorable tournaments where the home nation have found success and lifted the trophy. The 1975 Copa America was the first edition of this tournament, after previously being called the South American Championship. So Copa America winners history started from 1975. The competition looks a lot different now to how it did back then when the rules were very different. Ten teams took part and played each other around the countries between April and October that year. The defending champions going into this tournament were Uruguay, and they were given a bye past the group stages and joined in the semi-finals. Brazil, Peru and Colombia qualified from the group stages, to join Uruguay in the semi-finals. These games were played over two legs, in September and October. The holders Uruguay lost at this stage. They were beaten by Colombia, while there was nothing to split Brazil and Peru, so they drew lots to see who would qualify, with Peru winning that. The final was played over three games, Colombia won the first game before Peru won the second to set up a third and final game playoff. 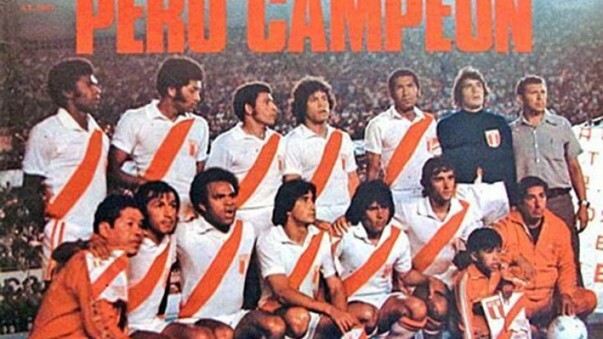 That game was won 1-0 by Peru, to give them the title of being Copa America Champions 1975. The competition has come a long way since the name change in 1975, with both the teams taking part and the format facing drastic changes ahead. 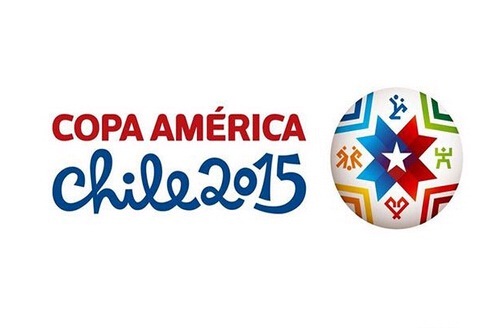 One thing remains though, from 1975 and that is this tournament is a great showcase for South American football. Again in 1979 we saw the group stages played as home and away games, and again ten teams took part in the tournament. 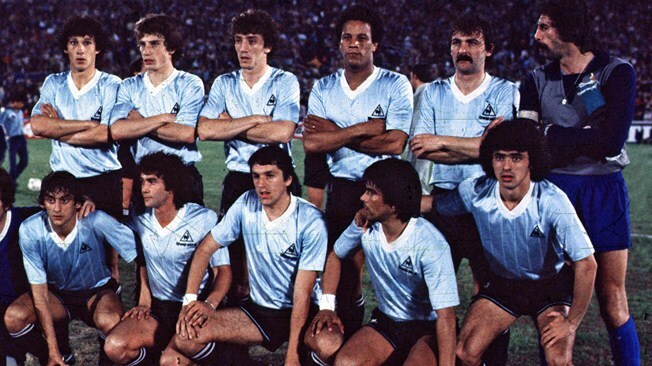 As winners of the 1975 edition, Peru were given a bye into the semi-finals, and they awaited the group winners with interest. In what were three extremely close groups, Chile, Brazil and Paraguay were those to progress, and they joined Peru in the semi-finals. Chile won in Peru, before drawing their home game to qualify for the final first, and the team to join them was Paraguay. They won at home to Brazil, before taking a draw from their away game and set up a final, which would eventually be a very memorable occasion for them. Again we saw a best of three scenario for the final, and again we needed to go to a third game to find a winner after Paraguay won the opening game, and Chile won the second. The third game was a very tense affair, and we saw no goals scored, which took the game to extra time. Again we didn’t see a goal, and the game was settled on the aggregate score of the first two games, which gave Paraguay a 3-1 overall victory, allowing them to lift the title. History of Copa America 1983 was the final time we saw the competition move around the different countries, after this event we had one country who hosted the event. 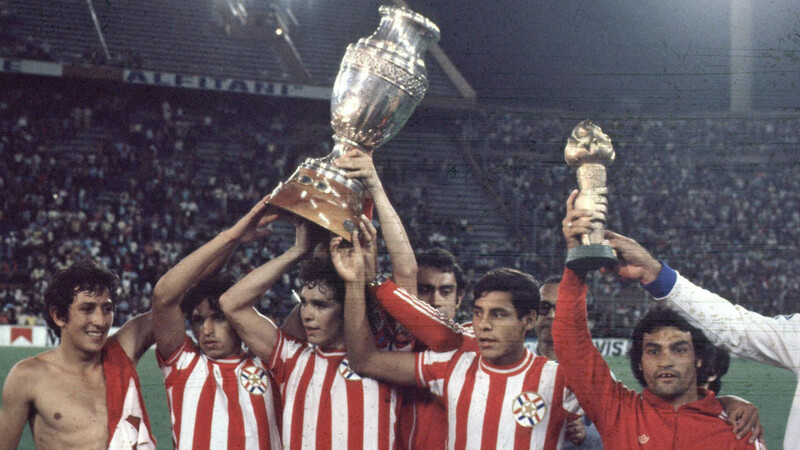 After winning the 1979 event, Paraguay were given a bye into the semi-finals, with the group stages determining who they would face. Uruguay, Brazil and Peru made it through the group stages, with Uruguay, in particular, looking good and winning three of their four games. The semi-finals were all low scoring tight games, and in the first semi-final, Uruguay were the team to qualify. They picked up a 1-0 win away to Peru, before drawing the 2nd leg 1-1 to take their place in the final. The second semi-final was just as close, and the teams drew the games, 1-1 and 0-0. The Brazilians went through to the final on the away goal rule, which was introduced in this tournament. In the final, Uruguay won the opening game 2-0 against Brazil to give them the upper hand. The second game ended a 1-1 draw, meaning that Uruguay were crowned champions as this tournament featured a two-legged final. From here, the tournament moved to a shorter event, being hosted by one country. The 1989 Copa America was hosted by Brazil and it was a tournament that they dominated. The hosts, along with Uruguay who had won the previous two tournaments, and Argentina who had many good youngsters coming through, were the three teams in with a chance of winning. The stage was set for a great tournament and the players on the field did not disappoint once they got going. Brazil’s opening game saw them have a fantastic start in the tournament, beating Venezuela 3-1 to put two points on the board. However, after that, they stuttered and drew their next two games against Peru and Colombia. A final game victory against Paraguay saw them qualify for the final group, although they only qualified as runners-up behind Paraguay. In Group B, Argentina topped the group with Uruguay in second to give the fans a final four they wanted, with three fantastic teams all going head to head, and Paraguay in there trying to spoil the party. Back in 1989, the final of the Copa America was a group of four, where every team played each other once. While this meant we didn’t have an official final as such, it did make for five great days of footballing action for the fans in attendance, and the attendances for this tournament were huge. Onto the final and this is where the hosts really took off, dominating what looked on paper to be a very close group. A 2-0 victory over rivals Argentina got them off in the best possible style and they followed that up with a thrilling 3-0 victory over Paraguay. Elsewhere in the group, Uruguay were going well and looking for their third successive Copa America title, they recorded the same margins of victory in their games against Paraguay and Argentina. That set up a winner takes all game between Brazil and Uruguay, which would decide where the trophy ended up. With Uruguay looking for their third title in a row, and Brazil having home-field advantage, this was a genuine 50/50 game, with little to choose between the teams. A goalless first half led to even more tension in the game and as the second half started both teams looked on edge. However, just into the second half, Brazil found a way to break the deadlock through Romario. They managed to hold onto their lead and win the game 1-0, a victory which secured top spot in the table to give them a fourth Copa America title. The home nation brought to an end the dominance of Uruguay, although what was to follow was a successful period for Argentina, who had shown signs of promise in 1989, despite bringing a young squad to the tournament. While Uruguay were the talk of the tournament going into it, many people were talking about Argentina coming out of it. Their young team impressed many watchers and they would go on to have good success over the coming years. They won the next two Copa America titles, 1991 in Chile and 1993 in Mexico, as well as performing extremely well on the world stage. 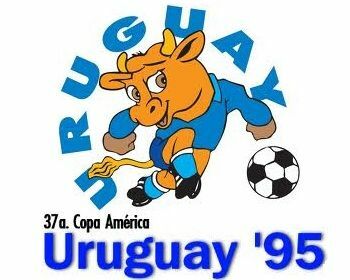 In 1995 the Copa America went to Uruguay and in this golden era for South American football, fans from all over the world were excited to see what would happen. All football specialist was writing winning football predictions for Brazil and Argentina. Because they were dominating the world stage, and they were clear favourites to win this tournament, although things did not go to plan for them. A 4-1 win for the hosts on an opening day against Venezuela got the tournament off to a fantastic start and gave Uruguay some real belief and momentum. Two wins and a draw gave Uruguay top spot in their group and a path to the quarter finals. Elsewhere in the group stages, Brazil won all three games to top their group, while Argentina won two, but were then shocked by the USA in their final game, losing 3-0. This was a huge shock and one that would have real consequences for Argentina. Instead of winning the group they came second, and that paired them with Brazil in the quarter finals, one of the big favourites to win this tournament was going out at an early stage. A quarter-final clash between Brazil and Argentina grabbed the headlines, this is the game everyone wanted to see, but we didn’t expect to see it so early in the tournament. After two goals in the opening ten minutes, the game was 1-1 and was quickly turning into the classic everyone had hoped for. There was nothing to choose between the two giants of the game and after finishing 2-2, the only way to split these two was a penalty shootout. Two misses by Argentina gave Brazil the victory, and they progressed to the semi-finals, leaving Argentina to wonder what might have been had they managed to beat the USA in the group stages. Uruguay had been handed a much easier path to the final thanks to being in the top half of the draw and they began their tilt at the trophy with a quarter-final against Bolivia. They won that game 2-1, after quickly going 2-0 ahead and protecting their lead. The home fans were starting to believe that winning the competition on home soil was a genuine possibility. Uruguay moved to the semi-finals, where they would face Colombia for a place in the final of the Copa America. They controlled the game but were unable to break down the Colombians in the first half. However, that changed in the second half and a goal just after half-time changed the game. Uruguay took the lead and that forced Columbia to open up and look for an equaliser. That didn’t come and eventually, Uruguay found another goal to seal the tie. With a 2-0 victory, Uruguay were in the final of the Copa America where they would face the might of Brazil. In the final, Brazil were the better team in the first half and scored after half an hour to take a one-goal lead. They deserved to lead, but in the second half, the game changed dramatically when Uruguay came out attacking and with a belief that they could pull themselves back into the game. Not too long into the second half, they did exactly that, equalising to send the 60,000 fans in attendance wild. Neither team could find a winner, so the final of the Copa America would be decided by a shootout between Uruguay and Brazil. We saw nine penalties taken during the shootout and eight of those were successful, showing just what quality we had on show, despite the huge pressure on both teams. The only player to miss was Tulio, and his miss gave Uruguay a 5-3 shootout victory to lift their 14th Copa America title. After Argentinian dominance in the past two tournaments, Uruguay put their name on the title once again and best of all they got to celebrate it with their home fans at their national stadium. The big story of this tournament was the performance of the USA, who reached the semi-final stage before being knocked out by Brazil. They stood up to much better teams and gave a great account of themselves, while they remained in the sporting spotlight in their country. Just a year before the USA had successfully hosted the 1994 World Cup and many people were beginning to love the game of football. Their success in the Copa America brought even more fans to the sport and it was a big time for the sport in America, leading to more coverage and more people getting involved. 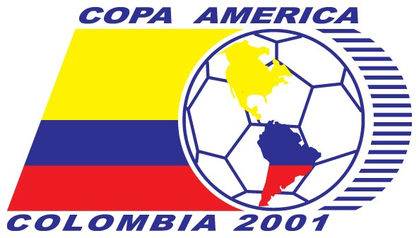 The 2001 Copa America came close to being cancelled due to security concerns in Colombia. The authorities were worried that violence would occur at the games and they wanted to stop the tournament going ahead. At one point, Venezuela offered to host the tournament but just days before the event, Colombia were given the green light to go through with plans to host. This news caused something huge to happen when right on the eve of the tournament, Argentina decided to pull out due to safety concerns. They claimed their players had received death threats stating they would be in trouble if they played in Colombia, and with that in mind, the full team pulled out of the event. This was a strange start for the event, as many teams arrived at the tournament underprepared, and without the normal match practice ahead of a big competition. Once the tournament got underway we saw some very good games, and the big surprise was that in the group stages, Colombia began with three victories out of three. They also didn’t concede a goal, beating Venezuela 2-0, Ecuador 1-0 and Chile 2-0 to qualify for the knockout stages with ease. The quarter finals put Colombia against Peru and they found a way past them with ease, beating them 3-0 thanks to three goals in less than 20 minutes to stun their opposition. At that point, the hosts had a real belief and confidence in lifting the trophy, although they knew there was a chance that Brazil would be waiting for them in the semi-finals and would provide a stern test. The shock of the tournament came in the quarter-finals though, as Brazil were dumped out by Honduras 2-0 in a game that will remain part of Honduras footballing history for a very long time. That gave Colombia a great chance to reach the final, with Honduras standing in their way of making it. Colombia controlled the semi-final, with an early goal giving them a crucial advantage and making Honduras chase the game. The visitors continued to take risks and that allowed Colombia to score a second goal in the second half and that is how the game ended. Colombia had reached the Copa America final for just the second time in their history. Colombia played Mexico in the final and going into the game, they had yet to concede a goal in the tournament. Their defensive play had been nothing short of fantastic. The Mexicans had also impressed in the tournament, they had beaten Brazil in the group stages, as well as Chile and Uruguay in the knockout rounds. The stage was set in Bogota for a hugely exciting game, and the home crowd were desperate to see their team lift the Copa America trophy for the very first time. The game was tense and neither team could break the deadlock in the first half. However, in the second half we finally saw a goal, as Colombia took the lead. The home fans went wild as their dream of lifting the trophy became a reality, they had a one-goal lead and needed to hold on to it. Mexico pushed to equalise but they couldn’t, leaving Colombia to lift their first ever Copa America title right where they would want to, in front of their own fans in their national stadium. This was a huge moment for the Colombian national team, and also a big moment for them off the field. Many were concerned about taking the Copa America to Colombia but the tournament was a big success, with no reported trouble taking place as was predicted. The home team won the hearts of their nation with their first ever success in the tournament and the date 29th July 2001 will forever be in the football history books. Had the hosts not won the tournament then there is no doubt that the big talking point from the 2001 tournament would have been the performance of Honduras. No one of betting sites or sports specialist could predict that they will finish third after winning a penalty shootout against Uruguay in the third/fourth place playoff game. This accomplishment under normal circumstances would have been a huge achievement for Honduras and wins against Uruguay twice and Brazil once will be remembered for a very long time by their fans. However, what makes this effort extra special for them is the circumstances in which it was achieved, and how they battled despite everything being against them. Argentina pulled out of the 2001 event at the last minute due to security concerns and Honduras were the team to replace them. They didn’t have any pre-tournament build up at all going into the event, and only flew into Colombia on the day of their first game, just hours before kick-off. When you put all this together, it was a remarkable effort by the Honduras team and one that their fans should be extremely proud of. Elsewhere, a team beaten by Honduras, Brazil, would have to go down as being the major disappointment of this tournament. With the withdrawal of Argentina, they were the biggest and most high-profile country in the 2001 tournament but failed to get past Honduras in the quarter final stages. With such a talented squad, much was expected from Brazil, and their fans were left bitterly disappointed in 2001. Chile hosted the Copa America 2015 and it was to be a memorable occasion for the hosts as they went on to win a tense final to lift the trophy in front of their home fans. This was the first victory for them in the tournament and a moment that those players and fans in attendance will never forget. It wasn’t easy for them though, and the fans watching on suffered too as the game went to extra time and then a penalty shootout. The big names on their team sheet made Argentina favourites for the game, despite it taking place in Chile. There was big expectations in Argentina, but quietly Chile fancied they could upset the odds, especially after they had beaten two strong teams, Peru and Uruguay to get to the final. They did manage to upset the odds and lift the title thanks to some great penalty taking. They eventually won the shootout 4-1, with all four of the Chilean players scoring from the spot. Lionel Messi scored for Argentina but he was their only scorer in a very disappointing ending for them after so much was promised both before and during the tournament. They went into the tournament with a team full of worldwide star names, including Barcelona star Lionel Messi and much was expected from them. However, it wasn’t to be and they would have to wait to add another title to the 14 they already had. One of the big talking from the 2015 event was Brazil not making it to the semi-finals after a loss against Paraguay in the quarter finals. They qualified for the knockout stages despite not having a perfect record. They lost 1-0 to Colombia in the group stages, a shock to some but it was a sign of things to come for the Brazilians, who never got going throughout the tournament. They faced Paraguay in the quarter finals and took an early lead in the game. However, a penalty gave Paraguay a way back into the game which they took, and that was how things ended which led to a penalty shootout between the teams. Paraguay were clinical, scoring four of their five penalties, while Brazil missed two to leave them with an early exit from the tournament. Elsewhere another disappointment was Mexico, who went into the tournament on the back of a good performance at the 2014 World Cup to get to the last 16 stage. They were drawn in a group with the hosts Chile, but with Bolivia and Ecuador rounding off the group, qualification for the knockout stages looked to be well within reach. However, the Mexicans failed to win a game at the tournament, with draws against Bolivia and Chile starting the tournament before a loss to Ecuador sealed their fate. Despite those two disappointments, Chile deservedly won the 2015 Copa America on home soil to register their maiden success in the tournament.